Engaging a targeted audience to raise awareness for the pioneering second hand bookseller. Founded by a group of book-lovers in 2008, World of Books is a pioneer in the re-use and recycling of books. As well as preventing 70 million books from going to landfill each year, World of Books has seen sales grow to £30 million per annum, making it the largest seller of used books in the UK and Europe. Having worked with sister brand and trade-in site Ziffit.com since 2015, we were appointed to develop a campaign that celebrated literacy among children and raised the World of Books’ brand profile within primary schools. We worked with World of Books to develop the concept and mechanic for the ‘Get Lost in a Book’ competition, which was delivered from February to May 2017. In addition to the media sell-in, we managed a regional advertising campaign with Heart Radio (Sussex), and consulted on social media and onsite content. 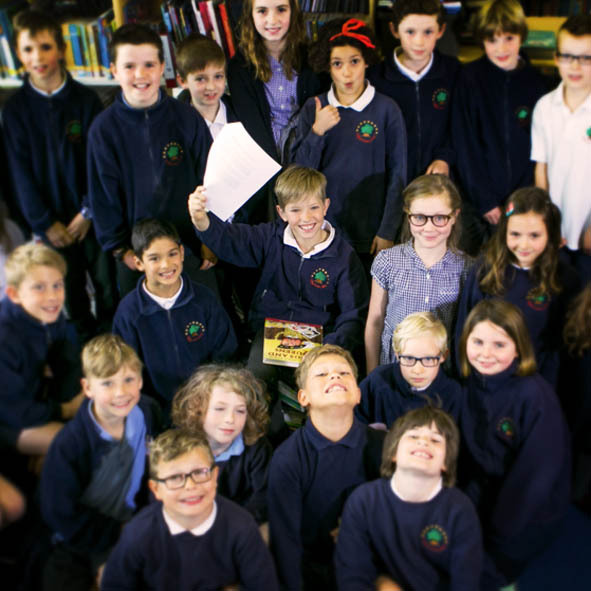 The competition received 350 entries from primary schools across Sussex, whilst the media campaign generated 23 articles within local press, with a total OTS of 3.1 million.